“Project time ! : Automatic curtain opener/closer. I did see some other projects for closing and opening (automatically) the curtains, I certainly wanted to build one myself now. Most other designs I saw were built using a fishing line. I did not want to use a fishing line, because fishing lines always will break at some point ? 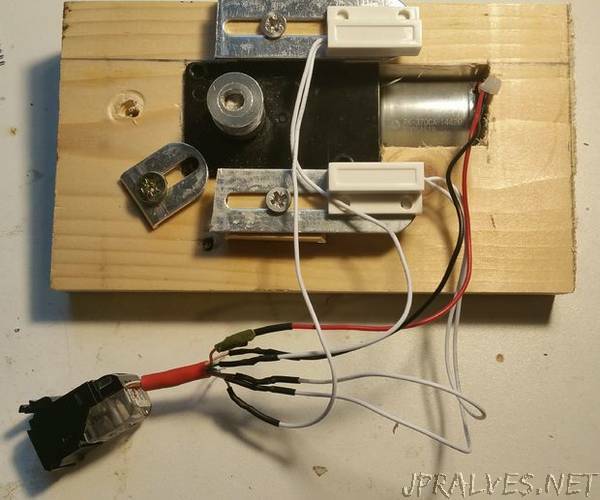 For this automatic curtain I used a teethed timing belt (with metallic enforcement, so very strong) and a timing pully wheel (20 teeth), which are also used for some 3d printers.